We embrace these values in everything we do. 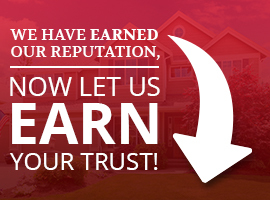 And together, we will settle your claims and make your home look as good as new by the time we are done. Sorensen Roofing & Exteriors is a big believer in helping others. We are a proud supporter of St. Jude’s Children’s Hospital, which does incredible work healing and providing a happy environment for the children residents there, and the Kawasaki Kids Foundation, devoted to promoting awareness of Kawasaki’s disease. We also look forward to future opportunities to give back to our local community. Brian Sorensen built Sorensen’s Mile High General Contracting Group Inc. in Colorado from the ground up based on the values instilled in him during his childhood years. He loves showing homeowners their rights and fighting to get them 100 percent of what they are owed from insurance companies. For the most part, insurance companies are fair and settle claims the right way; however, they are for-profit companies and do sometimes look for ways to short the homeowner, especially over the last few years. 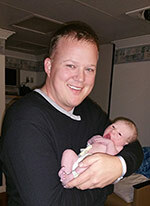 In his spare time, Brian enjoys spending time with his family, including his newborn son Sven. His boys keep him very busy, from teaching Sven how to sit up to playing “Cowboys and Dinosaurs” with his 2 ½-year-old. Brian also loves golfing, fishing, and playing pool.